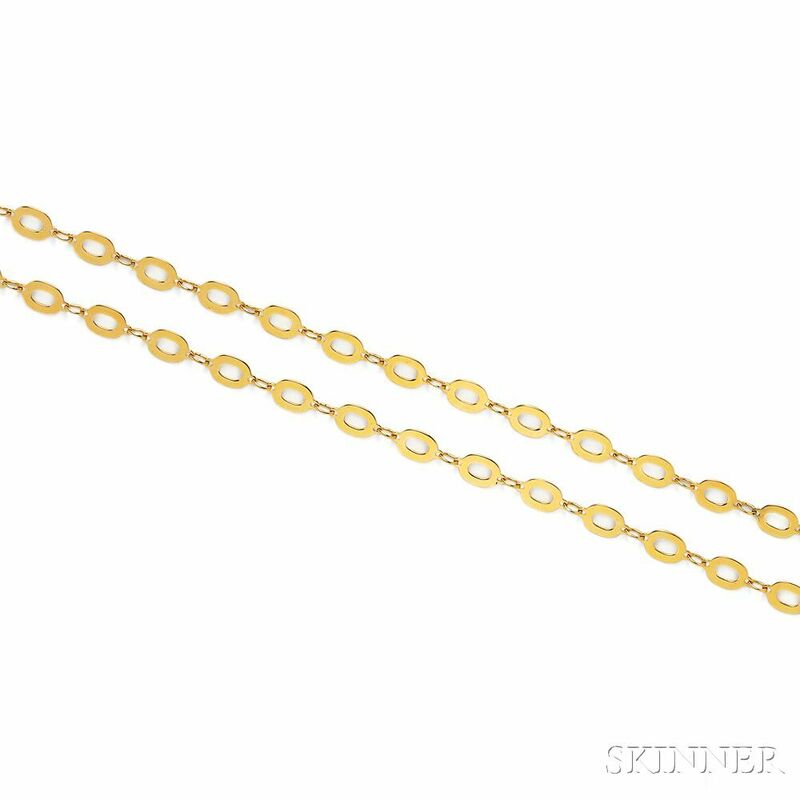 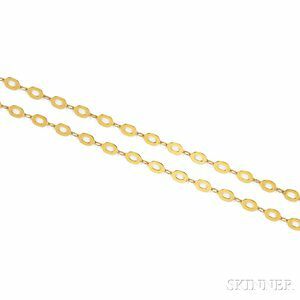 18kt Gold Chain, Cartier, of flat oval links, 26.4 dwt, lg. 29 in., no. 15287, signed.